Patriot Chimney is here to serve you. 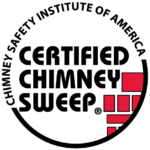 That’s why we’re proud to offer you an easier way to pay: an affordable financing option for your chimney repair financing needs, in partnership with PayPal. We have all run into unexpected household expenses and we know how repairs and upgrades can be expensive. We know your home is important to you. It was important to all of us at Patriot Chimney to be able to help you with finding an easy solution to your financing needs. What better company to do business with than an internationally trusted company. PayPal offers you hassle-free help with payments that can fit your budget.